Working hard on a big new thing which will be revealed later this week, all being well so today I thought I would share the piece about being hyggeligt that I wrote for the Huffington Post…. 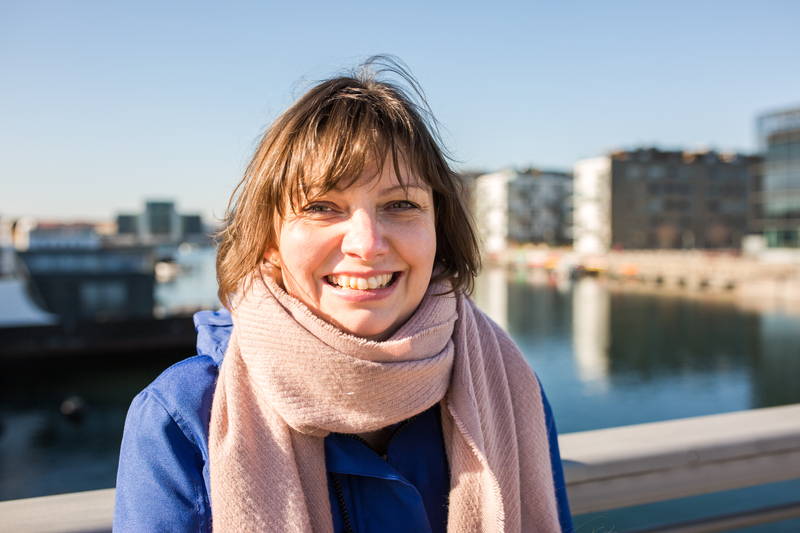 A soon as you move to Denmark you become aware of a word that the Danes use all the time and say there is no translation for – hygge (pronounced hooga). They say the best translation is cosy but that is so inadequate for what hygge truly means. It seems that others outside Denmark are starting to try and understand this lovely concept. But what does it mean? Hygge is all about being warm and cosy with others. When I was learning Danish, Lone, my teacher explained hygge by telling us about some situations that were hygge. A couple cuddled up on the sofa watching a film with a glass of wine is it but then so is a group of friends laughing around a table enjoying a good meal. Younger people say you can be it alone with a good TV show and a bag of sweets (although older people may disagree). So how can you bring hygge into your home, wherever you are this winter? Candles and a lot of them. Years ago I heard that Denmark was the biggest consumer of candles in the world and it baffled me. After only a short while living here I understood. The Danes love to light candles – in cafes and restaurants, at home, outside shops and even on the tables at a business meeting. Candle light is the biggest component to hygge. 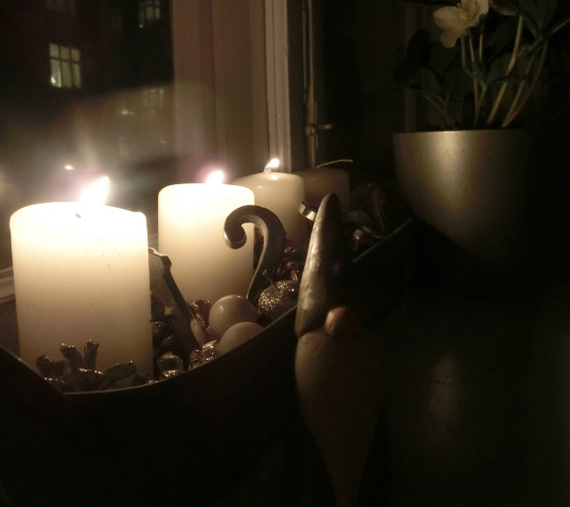 At Christmas the whole of Copenhagen feels as if it is lit by candles. They give a comforting and gentle light and help relax people. As the nights are drawing in here, my husband looked out the window at the apartment building opposite where candles were burning in every window, making the homes look cosy and inviting. He looked at our one candle burning in dismay and said we need to up our hygge game! The next thing you need is some cosy, nesting materials for your sofas. Warm snuggly blankets and soft cushions to relax into and keep you feeling warm. Sheepskins draped over the chairs. Warm wooly socks. You need people for your hygge experience. Snuggling with your partner or family watching a movie; a group of friends sitting around gossiping with a glass of wine, a close friend and a delicious cake or table full of family enjoying a lovely meal by (of course) candlelight. Avoid talking about anything controversial to ensure the feeling of hygge continues – a hyggelige evening is not about hot debate! This is another essential element to hygge. Warm hot chocolate or a pot of tea with a home baked cake. A bottle of red wine and some nibbles. Or just a bag of sweets in a bowl (not out of a bag — packaging is not hyggelige)! To share with a movie on the TV. Presentation of your food and drink is important to hygge — its all about the experience and a Haribo packet on the table just doesn’t cut it! Hygge is about simplicity. No fancy competitive cooking, nor showing how clever your conversation is. It is a gathering of people to enjoy the simple pleasures of life together and to finish feeling warm and content. You know you’ve got it right when your guests sigh ‘Ah, det var meget hyggeligt! as they leave. I love this old fashioned idea and that all ages and generations buy into the concept. The biggest thing for me is that hygge has nothing to do with material possessions but all to do with people, happiness and enjoying the moment. Next Stop being a smart phone zombie! I must be Danish at heart – here in Strasbourg it’s grey and foggy and candles seem to be the only thing cutting through the darkness at the moment! P.S. I look forward to hearing what you’re up to! I heard about Hygge earlier this Autumn and I think I must have more Dane in me than I thought. As soon as the nights draw in I start to light candles everywhere, I’m making blankets left right and centre to cosy up the home and food is a major part of our life.